How closely do you look for clues in the backgrounds of pictures? 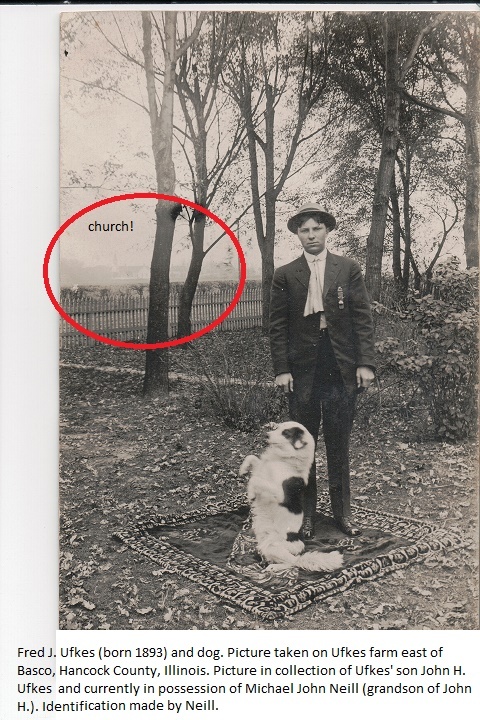 Had I not known where the photograph was taken, the church would have been a clue. It is the Immanuel Lutheran Church east of Basco in Hancock County, Illinois. The church is in close proximity to the farm on which Fred spent his entire life. Are there clues lingering in the background of your pictures? How neat to have the boy and dog on the rug! It adds to the picture.